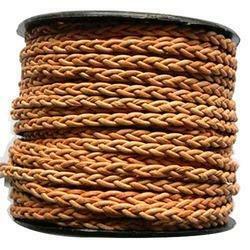 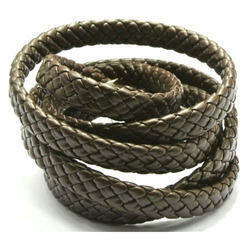 We are one of the leading manufacturer, supplier & exporter of Leather Braided Cord. 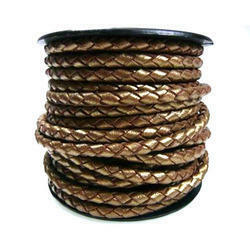 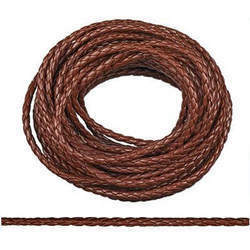 We are a prominent manufacturer and supplier of an extensive range of superior quality Leather Braided Cord. 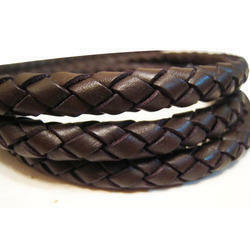 The cords made available by us are manufactured using high quality leather that is sourced from vendors of high repute. 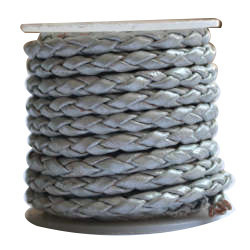 Each cord is braided on precision braiding machines, giving unmatched quality and value. 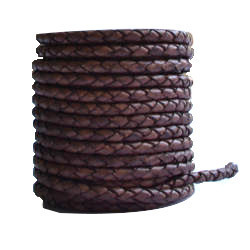 We are offering an exclusive range of Round Leather Braided Cord. 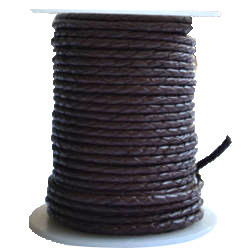 Latest machines and high quality leather is used to manufacture the offered range of cords so that these are in compliance with international quality standards. 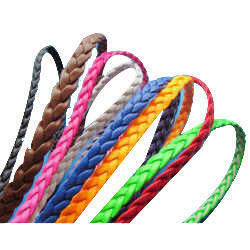 Moreover, we offer these cords in a spectrum of color combinations and sizes at reasonable rates. 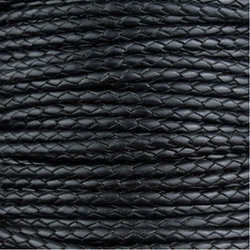 Owing to our vast experience, we have been successful in catering to the requirements of our esteemed clients by offering quality Black Leather Braided Cord. 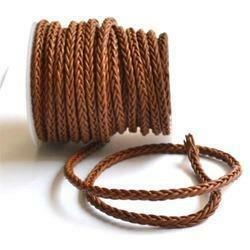 With a tight and consistent weave, these cords are highly demanded in the market. 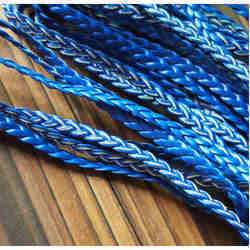 All these cords are braided on precision braiding machines, giving unmatched quality and value. 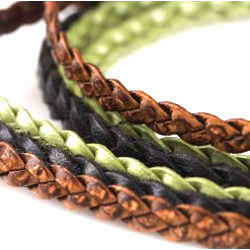 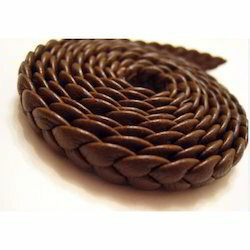 We are engaged in providing an exclusive variety of Flat Leather Braided Cord. 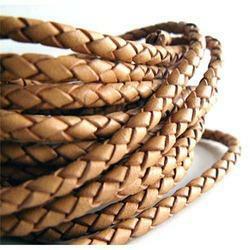 Offered cords are manufactured using high quality leather that is sourced from reliable vendors of market. 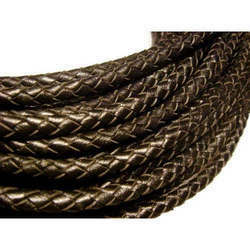 With a tight and consistent weave, these cords are highly demanded in the market. 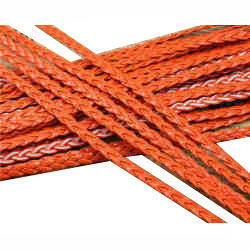 Each cord is braided on precision braiding machines, giving unmatched quality and value. 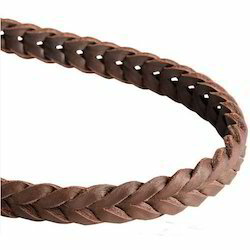 Looking for Leather Braided Cord ?